The way cattle is raised affects the fat content of beef. Choosing ground beef with less than 10 percent fat will help to cut down on calories. Roasts are typically lean cuts of meat. Beef is a general term for meat from a cow, but different cuts of beef and different types of cattle vary in fat content. Typically, the leanest pieces of meat are the steaks and roasts, whereas the fatty cuts of beef tend to be used for making burgers and sausage. People who wish to eat low-fat beef, therefore, need to choose their beef carefully, and also cook it without extra fats such as cooking oil. Although some cuts do not contain much fat, much of this from any animal is saturated fat, which is the type most implicated in heart disease. Some people may follow a low-fat diet for health reasons or to lose weight. Low-fat beef is just one aspect of a low-fat diet, and involves consideration of both the cut of beef itself and the way that it is cooked. The way cattle are raised also affects the fat content of beef. Traditionally, during much of the 20th century, a marbling of fat throughout beef was desirable as this was thought to add more flavor and tenderness. Farmers can feed beef cattle on grain and other feeds with extra nutrients to produce the desirable marbled beef for the consumer. Low-fat beef is preferable to people who wish to reduce their fat intake, and perhaps who have a preference for lean meat over marbled or otherwise fatty beef. Cattle who eat grass, and are not fed with high energy foods like grains, tend to develop leaner meat with less fat marbling. In addition to the marbling, which is fat running through the meat, cows lay down fat deposits around the cuts of meat and under the skin. This is fat that is easily removed when a cook trims off the fat from a steak, for example. 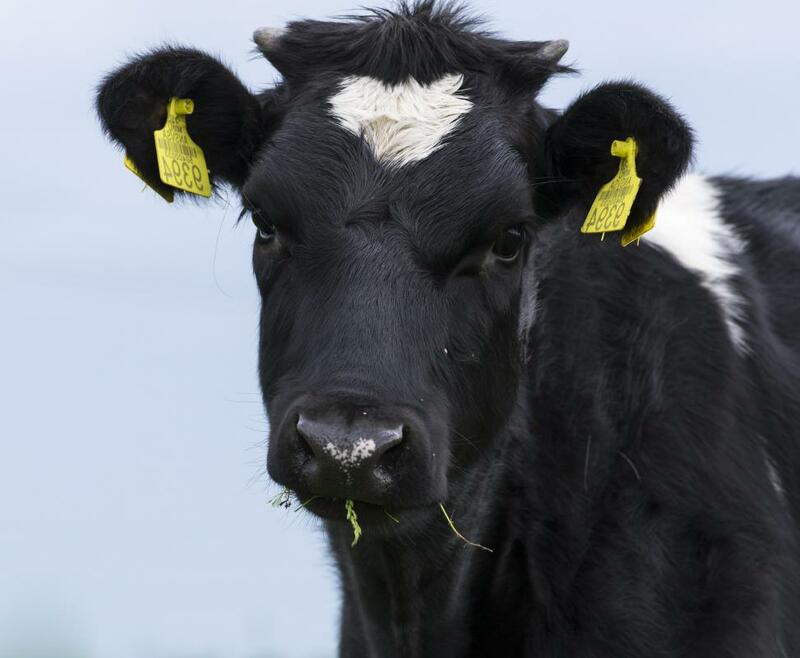 A cow, just like any other animal, uses different parts of its body for specific purposes. The cuts of beef on the animal reflect the uses of the muscles. Each cut varies in fat content, as some parts store fat more easily than others. An example of a very lean part of a cow is the sirloin, which is part of a muscle that runs along the cow's back. A sirloin, which can be made into steaks, typically contains only about 4 grams of fat per 3 oz (about 85g) serving. This is only one gram more of fat than an equivalent amount of skinless chicken breast. Dishes that contain a low-fat beef cut, such as sirloin or brisket, may become high in fat if the cooking process adds more fat. Ways to cook the beef without raising the fat concentration of the dish include barbecuing without oils, stewing and stir-frying. 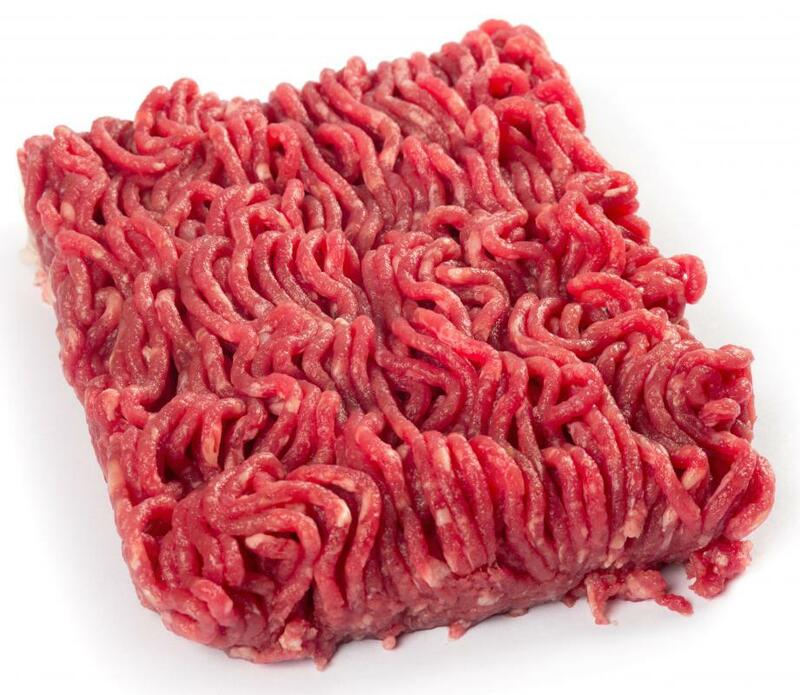 Ground beef, while often high in fat, may be available as extra-lean, which typically means that the amount of fat in the product is 10% or less of the total weight. How Much Fat Is in the Chicken We Eat? What Are the Best Tips for Making Ground Beef Pizza? What Are the Best Tips for Making Ground Beef Chili? How Do I Choose the Best Beef Rib Rub? 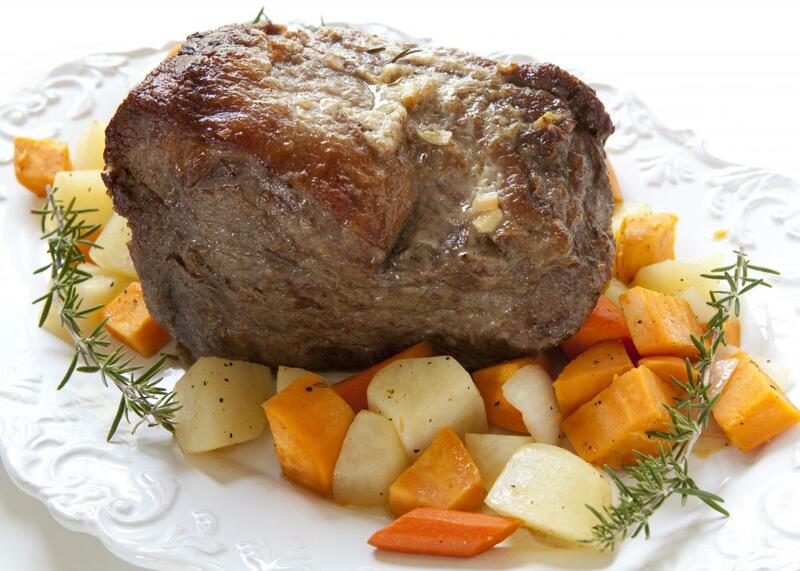 What Are the Best Tips for Making a Beef Chuck Pot Roast? What Is a Corned Beef Sandwich?